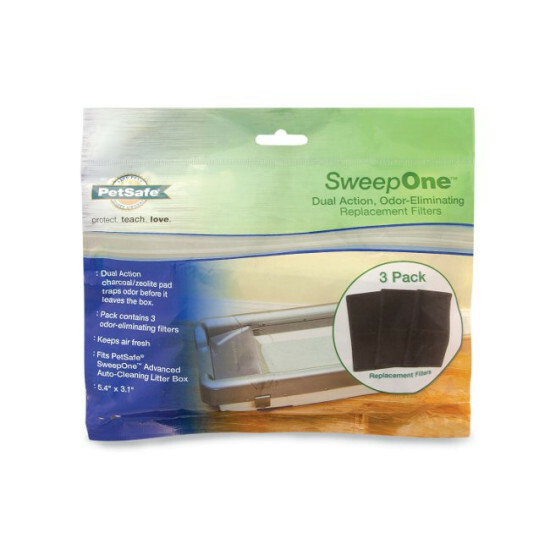 3 replacement filters for the SweepOne Advanced Auto-Cleaning Litter Box. 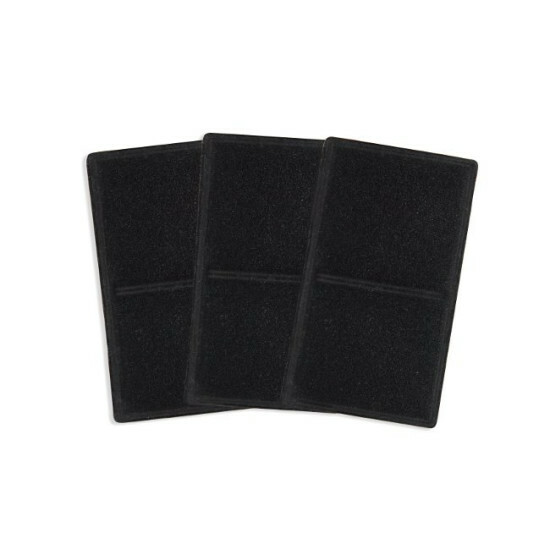 These dual action charcoal/zeolite pads trap odor before it leaves the box to reduce unpleasant smells. Replace once a week or as needed. Filters are not required for your litter box to function.